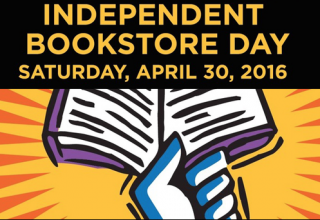 A year ago, we started this podcast with a discussion of our epic trip to 17 Seattle-area bookstores for the first annual Independent Bookstore Day. Naturally, Emma had to make the trip out to Seattle for Year 2! Did you leave all of your holiday shopping for the last minute? Fear not! Drunk Booksellers are here for you. We asked our coworkers and other rad bookseller folk to give you a quick holiday rec. Some recommendations are a little more... drunk than others. Enjoy!